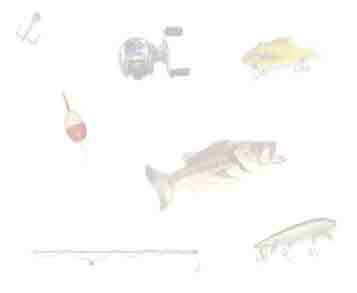 Various fishing equipment I've found or heard about through the internet. I have not tried most of these products but there are a lot of good ideas out there. Let me know of any of these you've used as well as any other links it would be good to include. 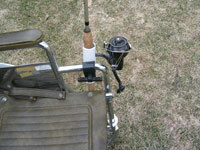 Electric reels, rod holders for wheelchairs and one handed operation. More electric reels, various rod holders, as well as a knot tying device. "Our special joy is finding ways to help the disabled. If you have an idea - let's talk and see what we can come up with! At Big Sky Imagination the sky is the limit!" Scot has a machine shop and has already created several products for the disabled, like the fishing rod holder shown below. Scot also has several adaptations in the hunting section of the site. He is also very willing to create new products. These bands are about the thickness of a handkerchief when dry, but they're filled with beads that expand and hold water. All you need to do is soak them in ice water and they work great to keep you cool on the hot days. I use one myself because my MS is really sensative to heat and they work great. Cost is $5.00 apiece plus $1 shipping. You can contact Carol by email. Our product is a unique portable bathroom for your boat created with your privacy and peace of mind built directly into the design. The BassRoom is an extremely versatile and environmentally safe option to making continous trips back and forth to shore when a member of your fishing party has an emergency. The BassRoom sets up in minutes for those moments when the need for a bathroom is immediate and can be left on the deck of your boat while you continue to fish if necessary. Nobody really wants to make that mad dash for the nearest boat launch when the urge arises especially when you're on top of a good school of actively feeding fish. Now, with the BassRoom, you don't have to! Guides, fishermen with physical dependancies, and young children alike all enjoy the privacy and security the BassRoom affords. 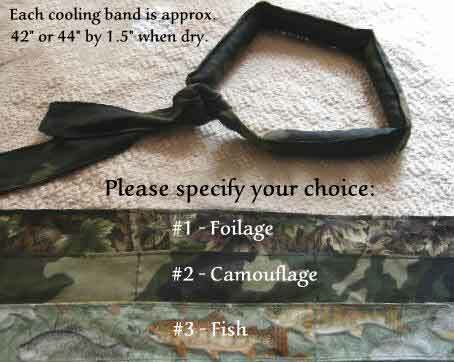 A ton of information for those who love to fish but need to make some adaptations. 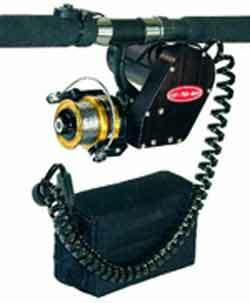 It tells of reel repair, gear, rods and lure rigs and lure fixits as well as setups for wheel chair information that may help out. 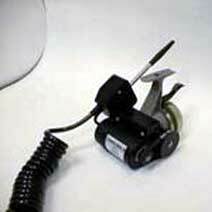 Dolphin Whisenhunt® Electric Power fishing reels with a hand crank are the perfect marriage of technology and sport. When you tire from the fight, just press the convenient switch and let the electric motor take over. To return to manual control, simply turn the handle. The transition from manual control to power and back is smooth and seamless. 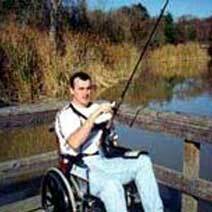 Reels designed to enable individuals who are physically challenged to enjoy the sport of fishing without assistance. 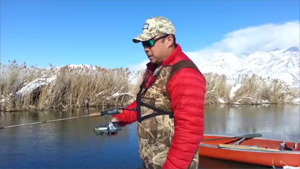 The fishAmatic automatically sets the hook for you, and works while fishing from the bank, dock, or boat. fishAmatic alerts you when the fish is hooked, can be used over and over again, and it helps save the fish. So sensitive that the fish are caught on the lips or jaw,before they have a chance to swallow the hook. 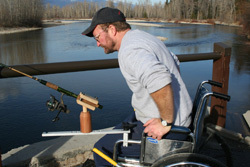 Don also makes two types of Pole Holders, one for on the bank and one for a wheelchair. 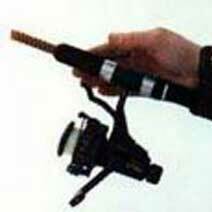 retrieve speeds for various styles of fishing....only 10oz & cordless! They manufacture a boat that was originally designed for the ATV market but the use for people in wheelchairs would be excellent. The product is called The Float Trailer, it is a boat and trailer all in one, the front of the boat is designed like a landing craft with a built in fold down ramp, a wheelchair could be easily driven right into the boat. This all came about because I have a buddy that had a stroke 14 years ago whom I have taught to fish one handed as his whole left side is paralyzed. He has used a rod holder around his waist in the summer to hold his rod and reel while he reels the fish in but couldn't feel the fight. 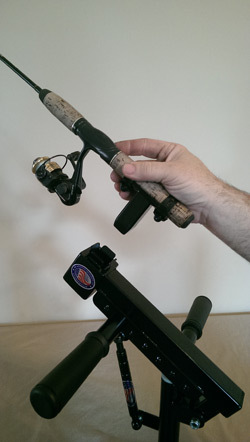 The summer rod holder works as Steve can hook the fish but not feel the fish on the line. I taught him how to ice fish last year and in my fish house I have a rod holder too, which Steve has used successfully. However, until I tried it, I didn't know how poor it was to reel the fish up. 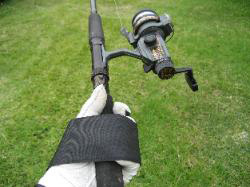 I therefore devised a holster for his reel handle so he could reel the fish in and actually feel the fish fight on the pole. Our goal is not to make any money on this but to show it to folks who may benefit from its use. It's so easy to make. I made it from a piece of flexible plastic cutting board, a medicine bottle cap, two fender washers and a screw with a nylok nut some duct tape which we then used Velcro to replace to hold it to his leg. Now he can reel a fish up and feel the fight. Make sure to watch the YouTube videos below to learn how to make one. The RECEIVE-ALL allows people with a wide variety of hand control and strength limitations the ability to hold and manipulate a wide range of objects. 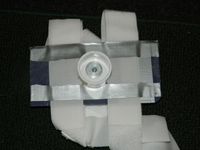 The system consists of an arm brace and an adapter. You simply attach an adapter to the item you wish to hold; fishing rod, garden tool, the possibilities are endless! That item can now be attached to the arm brace that is secured to your arm. You now have control of that item. Customized spinning and casting rods for anyone who only has the use of one arm or has trouble holding a rod when fighting big fish. The Sure Grip Glove has been invented to enhance the abilities for disabled people. Examples are for those people with arthritis, missing fingers or other hand/finger disabilities. 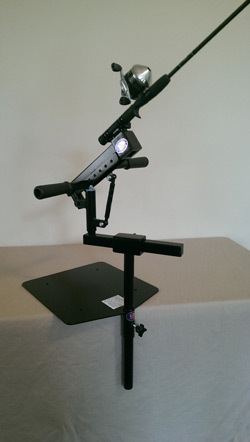 TURBOSET is an arm support cradle that swivels. Increased hook set is the obvious feature. It was originally invented for less wrist and arm fatigue. After much testing and development with fisherman Turboset provided incredible casting accuracy as well. It can be used in all types of fishing.